When a patient walks in with a primary compliant of foot pain a lower body screening is necessary. This means watching the patient walk normally, walk on toes, walk on heels, squat, single leg squat, and other sport specific movements. Many times the hip can be the culprit for causing foot pain, but not always. If hip strength and range of motion is within normal limits, it is time to start looking from the bottom up. One area that is often forgotten or overlooked is the Big Toe. What is the Big Toe? The big toe (great toe) is also called the Hallux. 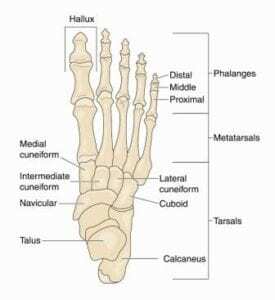 The base of each toe is the metatarsal and the actual toes are called phalanges. The big toe is made up of 2 phalanges: a proximal and distal one. The motions of the big toe include: flexion (move the toe down), extension (lift the toe up) and abduction (move the toe out to side). What Is Most Important About the Big Toe? Extension! 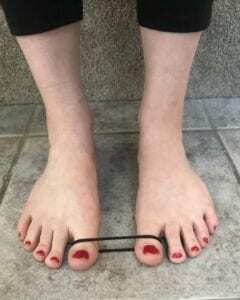 Normal toe extension is particularly important for a normal gait cycle. 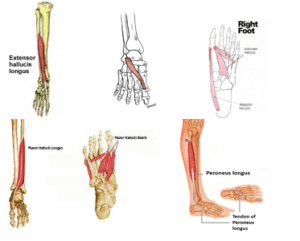 Without extension the stability of the arch and plantar fascia can be greatly affected. Weakness and tightness of the big toe (especially extension) causes issues with walking, lunging, jumping, squatting and running. 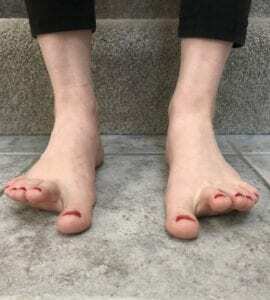 How Much Big Toe Extension Do We Need? → 60 to 65 degrees for normal gait. That means at least 80-90 degrees in a natural stretch. This amount of motion allows for proper foot position to help absorb and support weight-bearing loads. It also assists in propulsion of the foot. To summarize, the big toe is the “kickstand” of the lower extremity. When it doesn’t function well, the rest of the body can be affected. This results in poor movement patterns that can lead to injury and pain at the ankle, knee, hip, and spine. Without the mobility and stability of the big toe we can’t fully push off during our gait cycle. This can lead to compensation patterns which sets you up for injury. To make sure you have enough big toe mobility and strength, try adding the following exercises into your daily routine. And, while you are addressing your big toe, make sure you have enough Dorsiflexion to go along with it! 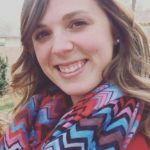 Abbey Campbell, DPT is a physical therapist practicing in Lafayette, CO at Duncan Sports Therapy and Wellness. Abbey is a former collegiate athlete swimmer and a new mother. She uses a whole-body, movement-based approach to heal injury and pain. Abbey is passionate about preventative care and patient education to get her patients back to happy, healthy movement. ← Move out of Pain!